Four animated videos introduce SkillStack® to the world, building enthusiasm and showing the value and application of the product. 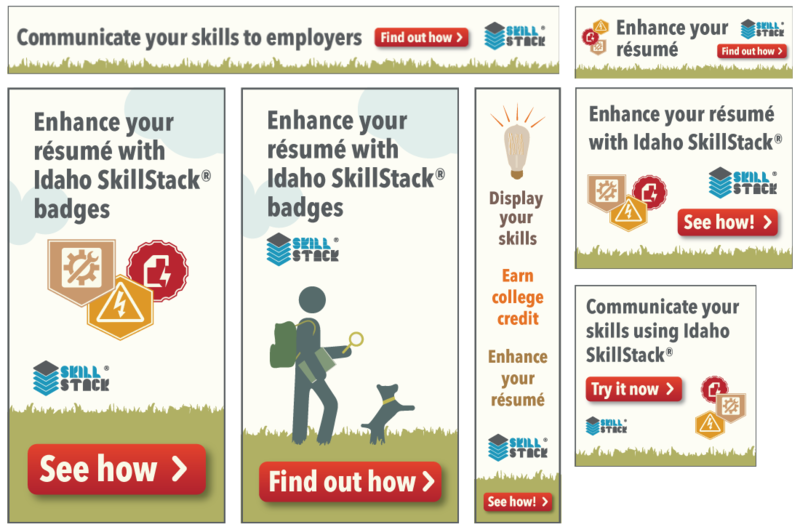 Idaho Career and Technical Education (ICTE) just rolled out their brand new program, SkillStack®. What is it? That’s where Peppershock comes in! We were asked to produce four short, animated, informational videos to introduce SkillStack® to the world. 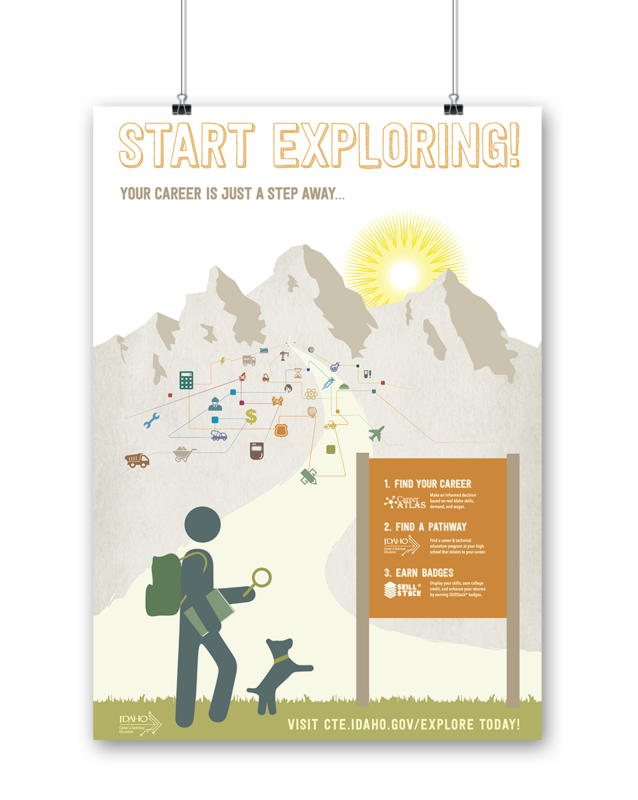 SkillStack®, a micro-certification program, is designed for students, teachers and employers, so the graphics and language needed to speak to and engage each of the target audiences. Our objectives were to build enthusiasm, show the value and application of the product, and create tutorials for how to use it. We worked with the client to create succinct, easy-to-comprehend voiceovers. 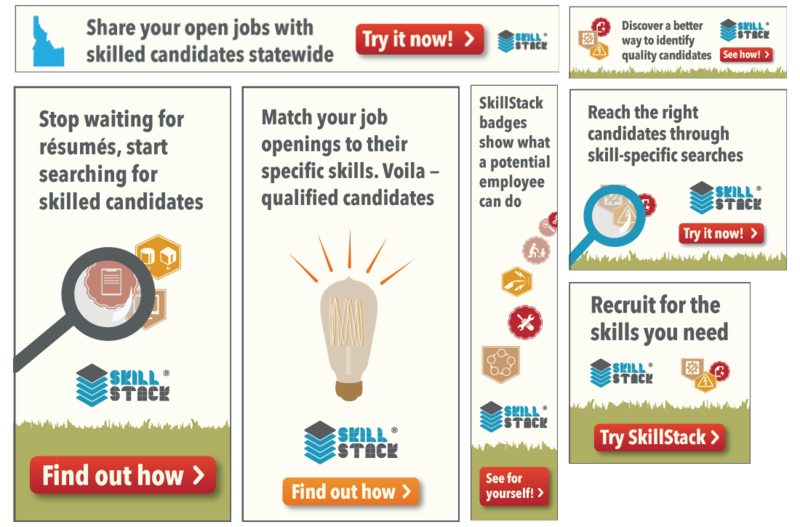 Then we took SkillStack®’s existing color palette and logo to create a unique look and feel for the four videos, a poster, and multiple web banners. In each, subdued tones and textured backgrounds dominate, allowing moments of bright color to make a statement. Every piece of collateral was catered to a specific subgroup of their target audience.